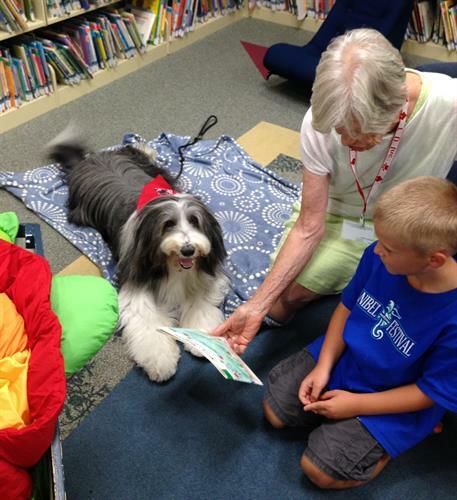 If you love dogs and books, you might enjoy reading to Bessie, a bearded collie and a Reading Education Assistance Dog. At 4 p.m. on rain-free Thursday afternoons, Bessie will be here to greet children. Sign-ups are on-the-spot and in order, finishing by 5 p.m. Come and WOOF! ... or READ to Bessie. The dog's owner is in the room with the dog and the student. If the student has trouble reading, the owner will help him/her. The public is invited to this Library Program. There is no pre-registration required and no additional cost to participate.